People want all sorts of information about toilets. Not just what they look like in countries all around the world, or what sorts of toilets world leaders and artists and celebrities use, but they want to see toilet signs, watch toilet videos and listen to toilet sounds, and more. Most importantly for your health, you might want to know about preparing for a colonoscopy, a completely painless procedure that will involve the use of a toilet. Follow any of those links, or read on for an overview of those and other toilet topics. Click on any of the pictures or questions to be taken to detailed explanations with more pictures. Are you looking for toilet signs? Which language would you prefer? Japanese? Chinese? 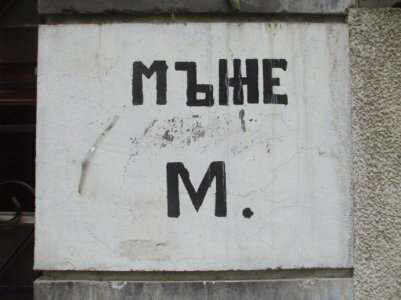 Bulgarian? Arabic? Malay? French? Greek? English? And would you want the signs to explain where not to throw paper, or how to use a foreigner's toilet, or whether or not magnets are present, or whether or not to urinate against the wall, or simply how to find the toilet? These are just a few samples, see the detailed page for many more. 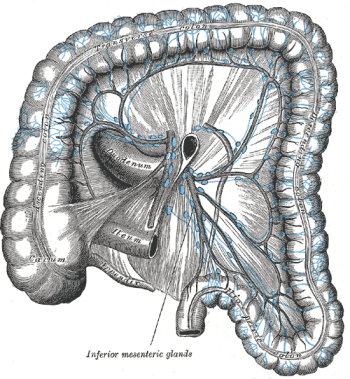 A colonoscopy is an important medical test and it's no big deal. You are completely unaware of the procedure. What you are aware of is the preparation, five days of a modified diet and then 24 hours of somewhat unusual preparation. However, that preparation is no big deal, either. Learn what's involved, and get checked. The Toilets of the World site has been certified as Web 3.0 compatible! This means that it contains some multimedia content suitable for viewing on 5G and 6G devices, plus a disproportionate level of hype. The multimedia page contains a downloadable MPEG movie of a flushing toilet, as well as a MP3 file and a downloadable ring tone. Many people have had their bowels so moved by this collection that they sent me a letter. Well, at least an electronic mail message. An unexpected question from Kate the Constipated. A seller of stainless steel toilet pans awaits our reply. I saw something on the Travel Channel, how do I buy it? Please explain my irrational fear of toilets, Parts One and Two. A guy at work was going to do that! How does one clean oneself in an Indian toilet? My favorite toilet is on Mount Whitney! Why don't you show the German "Inspection Shelf"? I live in Australia, but I want to buy from an Italian or Asian manufacturer. I want to teach my dog to use a Turkish toilet. Please ship enough stainless steel urinals and washbasins to Zambia to outfit 46 public lavatories. Please ship two dozen teflon-lined cast-iron valves suitable for 80-90% sulphuric acid to Pakistan. OK, forget about sending those two dozen teflon-lined cast-iron valves, but are you ISO-14001 certified? Please ship five titles of books on information security to the Philippines. Please come to the Bahrain airport and excavate 25 lavatory service pits and 25 potable water pits. Please ship several aircraft lavatory parts, a bunch of oxygen masks, an oxygen generator, and some auxiliary fuel tanks to Peru. 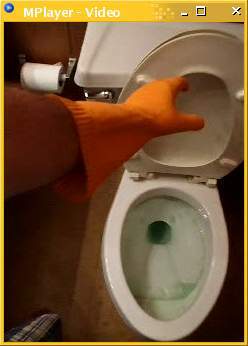 I have links to many other toilet pages and sources of toilet information, in case these pages haven't provided enough. Grit Boxes might sound like some sort of uncomfortable toilet. However, the Grit Boxes of Scotland page is an overly detailed annotated collection of pictures of another form of technology. 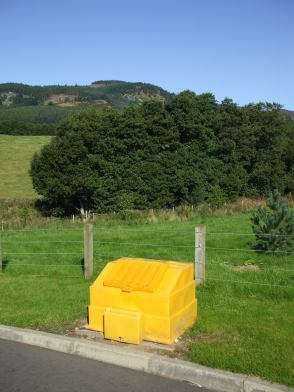 Not toilets, but grit boxes. What is a grit box? See the Grit Box page and learn! Similarly, Roadside Shrines might sound like some sort of elaborate toilet facility for travelers, but they are also something entirely different. 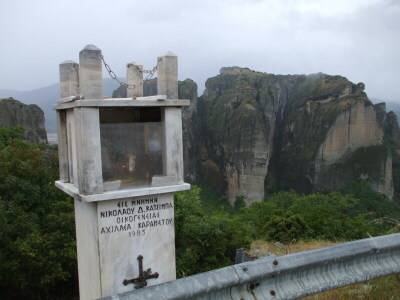 The Roadside Greek Orthodox Shrine page is yet another catalog of variations upon a theme seen by a traveler.